Data is imported and stored in WordFly through data fields. These can be set up in different formats: text, number, and date data fields. Number and date data fields require importing specific formats to work with the formatting WordFly applies to the data field in your template. In this post we will review what you should know for your number and date data fields. For information on applying a data field to your email template and other tips, go to the Learn More section. Number data fields can be created to personalize templates with specific number or currency data from your subscriber list. 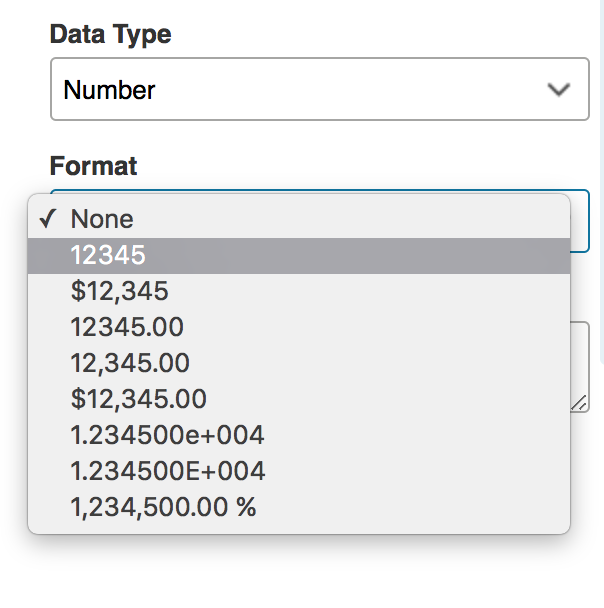 When you create a new number format data field in WordFly you will have many options to select from. Go to Subscribers > Data Fields, select Create a custom field, then select Format > 'Number'. In order for WordFly to translate the number data from your list to the data field format selected in WordFly you will need to make sure your list format does not have any specific formatting. Applying specific formatting in your list will conflict with the formatting WordFly applies through the data field format you select. Decimals are acceptable but adding a currency symbol for example will cause conflicts with WordFly formatting that data field. If you would rather use your list format then use a text format data field instead since text data fields in WordFly don't apply any formatting to your data. Date data fields can be created to personalize templates with specific date information from your subscriber list. When you create a new date format data field in WordFly you will have many options to select from. Go to Subscribers > Data Fields, select Create a custom field, then select Format > 'Date'. 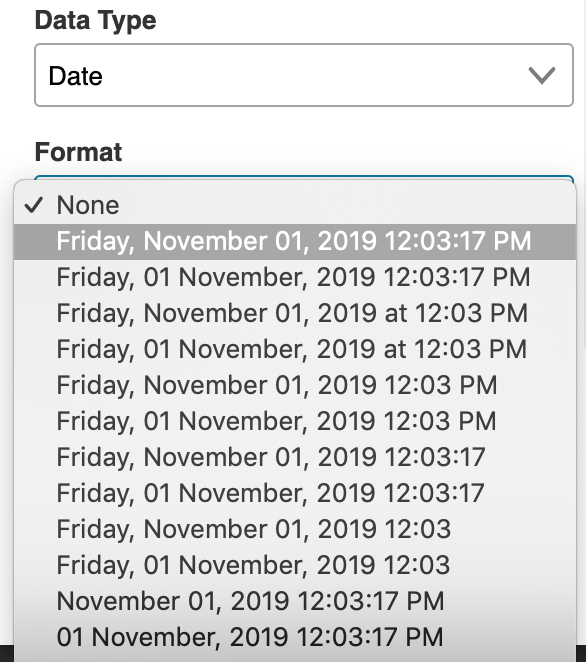 In order for WordFly to translate the date data from your list to the data field format selected in WordFly you will need to make sure your list format does not have any specific formatting. Applying specific formatting in your list will conflict with the formatting WordFly applies through the data field format you select. These examples are for accounts in the USA with a culture setting of 'en-US'. Download date formats in other cultures from this support article (scroll to the end to find the documents).